She was shaking. The fear in her eyes was palpable. She had, once again, lied to me and, once again, gotten caught. It’s really not difficult to catch a four year old in a lie. She sat on my bed while I tried to figure out what the appropriate lecture followed by discipline should be to attempt to forge within her brain and emotion the destruction lying causes to relationships…all on the level of four year old who sees the world through the eyes of a 2 1/2 year old. This is not an easy task. Now let me say I do not believe my sweet little girl is devious. She’s not trying to pull the wool over our eyes so she can sneak out at night to paint the town red. We don’t believe she is trying to hurt us or really even understands what it means to break relationship and trust. She disobeyed a direct order. She lied to cover it up. She later, accidentally mind you, confessed to said lie to her mother. She wailed when she knew she had blown her cover. Now she was literally shaking, overcome by so much fear of what may or may not happen she could not control the situation, her body, her tears, her voice, or anything else for that matter. As I tried to decide what to do, I felt the Holy Spirit whisper in my spirit this was not about lying. This wasn’t about disobedience, though disobeying is ultimately what got us here in the first place. This was about a little girl ravaged by fear. Fear is a bad counselor. She should have obeyed her mother, that’s for sure. She should have told the truth when asked about it. We have had many conversations about the relationship between levels of trouble and lying/telling the truth. If you tell the truth, you may still be in trouble, but if you lie, you will be in HUGE trouble. We just don’t do lying at the Carlson home. But she had lied. Because she was afraid of what might happen. And now she had lost control of everything. Control is safety for her….and, if we’re honest, for all of us. If we’re in control, we’re safe. When we lose control (as if we ever really have it) we become afraid. Fear. When I asked her if she was lying she asked for more time to think about her answer. I love the way little minds work sometimes! Finally I pressed her, because she already knew the answer and didn’t need to think about it, and she chose to give in to the fear welling up in her spirit; she lied. This is common for her. She lives with fear. She’s controlled by it. She’s been mastered by it. But the thing is, fear is smoke in mirrors. It’s not real. Our society thrives on the emotion of fear. We watch scary movies to feel it; our media uses fear to control what we think and understand about the world. Some people use fear as a way to control relationships or people they supposedly love. But is fear real? Is it a legitimate thing of which we should be wary or is it nothing more than an emotion we feel but must learn to master rather than being mastered by? Oh, don’t misunderstand….the feeling of fear is very real. But is the feeling of fear actually reflected in reality? Maybe in horror movies, but in real life? I don’t think fear is real. One of our children’s workers at our church says fear is False Evidence Appearing Real…I think the acronym about sums it up! Millions of people have been murdered because of fear. Millions of babies aborted because of fear. Billions of people living sub-par lives because of fear. ISIS’ reign of terror is predicated on fear. People fear death more than anything in life. Many avoid risk of any kind because of fear. People do not fully follow Jesus because of fear. People close their hearts to potentially powerful relationships because of fear. Marriages wane and die because of fear. Lies have been told, nations destroyed, trusts eroded, paranoia rampant – all because of fear. 147 million orphans remain in this world primarily because of fear. Like it or not….admit it or not….fear plays a part in your life and mine to some varying degree. Just consider adoption, for instance. Did you know 70% of people in the US have expressed interest in adoption? Do you know how many of those 70% actually follow through and adopt one or more children? How will we pay for all the expenses (I agree they are ridiculously high)? Can I love another child as my own? Is my house big enough? Can we afford another mouth to feed? What if our biological kids can’t handle it? What if the child we adopt ends up having some weird disease? What will other’s think about our “mixed” family? How will we communicate? Do I have to learn their language? What if they’re the kid which smears poop on the wall? Worse, what if they’re an ax murderer? What if they don’t love me back? Fear debilitates our faith and belief in a providential God. Fear paralyzes us from doing the good we know to do. Fear counsels us to just hold on to what we have, keep our hands and hearts closed, and don’t let anyone in. It’s just too dangerous. There’s too many things which could go wrong. It’s safer to just be content where we are. Fear is nothing more than the absence of trust. For my four year old, it’s an absence of trust in her mommy and daddy. She’s afraid of punishment. She’s afraid of being broken again (lying is a way she protects her heart from being broken). She’s afraid we will stop loving her. She’s afraid she won’t belong anymore; she won’t be loved any longer. She’s afraid she’s in danger. She’s afraid she can’t measure up to our expectations. She’s a slave to fear. But for you and me, the trust issue goes a little bit higher. Flat out, we don’t truly trust God. We’re not sure He’ll provide. We’re not sure He truly has our best interest at heart. We’re afraid we may find He’s not the faithful God we thought He was. We’re afraid, if we make a mistake, He can’t (or won’t) redeem it. Does He really work things for our good? Is He able to guard the heart(s) of our bio kids; heal the hearts of our adopted kid(s); and bind all of our hearts together as a family? Will He catch us if we leap? Trust is a funny thing. No doubt, at some point in your life, you’ve felt like God let you down. Maybe you’re still there with Him now and it’s keeping you from taking leaps of faith He’s asking you to take. Let me encourage you to take a listen to a message I preached a few weeks back on the issue of disappointment. I think it’ll help. Ultimately, there’s only one remedy for fear. Honestly, no one can love perfectly. We all love imperfect people imperfectly from our imperfect hearts and imperfect souls. There is only One who loves perfectly. He loves us in spite of ourselves; in spite of our imperfection; in spite of our fear. God’s love for us is perfection, even if we don’t always understand it this way. In fact, our misunderstanding, at times, of God’s love and discipline in our lives is what can erode our trust and open the door for fear to take root. But the truth is, God’s love is perfect in our lives. He only allows things for our good – even the hard stuff (consider Job of Old Testament fame). Discipline is a result of our poor choices outside of His Word and will for our lives. Yet I can’t help but think, if we would fully TRUST Him and receive His perfect love, fear could be eliminated or at least minimized in our lives. I want to encourage you; nay, challenge you to receive His perfect love for you. You’ll be able to trust Him for the things which make you scared. You’ll be able to step in faith and know He will never leave you alone. You’ll do great things in His sight because YOU are a child of God. Trust His perfect love. The same is true with my children (and yours for that matter). Often fear is the result of misunderstanding our love for them. Why do we discipline them? Because we want them to grow up to be productive, honest humans full of integrity and justice. But sometimes they can’t see past the moment. So fear is produced because they don’t recognize discipline as love, which makes trust elusive, which gives a place for fear to breed. More discipline doesn’t solve the problem. Harsher punishment won’t get us there. Lectures and demanding honestly will not truly breed trust. we must address the issues of their hearts with robust love! Only UNCONDITIONAL and imPERFECT love will destroy fear in our children’s lives. How will they know the perfect love of God if we fail to love them, albeit imperfectly, even when needing to discipline? We must find ways to steel our own emotions, our own fears, yes our anger too, and love our children, adopted or not, as perfectly as we can, through Christ. Honestly, it’s a tall and maybe impossible order….but start somewhere. I started on the floor of my bedroom, holding a little girl shaking from fear and singing a currently popular song about being a child of God. I tried, in my human effort, to show her what perfect love looks like. Did she lie? Yes. Did she deserve discipline? Yes. Did she need to be afraid of a big daddy who loves her more than she’ll ever know? NO….but she doesn’t yet understand that. She will learn as I SHOW her. It’s now our mission to show ALL of our children this kind of love. Even if we only give them a glimpse of imPERFECT parental love, they’ll have enough understanding to spot God’s PERFECT love for them a mile away. You too….give God a chance to SHOW you His love. Open your heart to Him today and let the best Father pour in His perfect love until it overflows. I believe He’ll meet you exactly where you are. I’m no longer a slave to fear…..I am a child of God. God is FOR ME, not against me. He loves me perfectly, without defect. May I learn to love Him the same. It’s funny listening to my Polish children talk. Our now four year old swears she can’t remember any Polish at all – even though she sometimes switches seamlessly, in the same sentence mind you, between English and Polish. Sure, her English vocabulary is probably that of a 2 year old, but she does really well only speaking the language for five months. My favorite is when one of them starts a sentence or conversation in English and switches to Polish and then back to English. Or they’ll splice in one word here and there in Polish because they haven’t yet learned the English equivalency. Oh and sentence structure can really mess them up! Our nine year old is learning some grammar in our home-school, but she sometimes confuses verb, noun, and adjective positions. It can be quite entertaining. As entertaining as language issues can be, when it comes to really important conversations and/or concepts, it can be very challenging. In fact, often, without great time, patience, and care much can be lost in translation. We’ve been home now for nearly three months. We have been the parents, in one form or another, of our Polish kids since May 26th. We first met them in April. It’s hard to figure we’ve only known them for six months. Sometimes I still reflect on where we were a year ago, feeling like we’d never get them home, to now, trying to figure out what this new “home” is like. There’s so much we build up in our mind about how this journey will play out. I can remember idealized conversations Amy and I would have before our first trip to Poland, painting our hopes and dreams for our formerly little family. I wrote all kinds of letters and grant applications touting the beauty of adoption (to which I still wholeheartedly subscribe). Even when we faced hurdles and challenges, we still knew God was in this – He had proven it over and over again after all – and held on to our assurance of His plan. It all became kind of like a language we spoke. One of faith and hope and love. Even so, I think we kind of knew going in there’s no chance everything will turn out the way we planned it out in our hearts & heads. But we kept speaking the language, we kept our dreams for ALL of our children vibrant and healthy. Now, I’m not saying some of that didn’t come to pass, because it did. But just like most things in life, there was much lost in translation. Things we thought would be easy or natural turned out to be some of the most difficult things we would attempt. I thought I’d spend a few minutes writing about some of the things in our language now, which weren’t when we began. I don’t know why people tout the adopting of only young children. As if older kids are somehow more broken and need more repair. Granted, our nine year old has lived through much more trauma in her young life than our three year old. But, frankly, the three year old has been much more difficult to bring home. Abby can reason, understand complexities, and talk things through. Our youngest cannot. We have fought much tougher battles with her and because of her survival methods than any of the others. Adopting a toddler is the hardest thing we’ve ever done. Adjusting. Is. Constant. I may have written about this before, or maybe it’s just such a huge issue it is always on the forefront of my mind. I love when we have good days and feel like we make major progress. When one of my bio kids tells me how much they love their sibling or how thankful they are we took this plunge. But then we have other conversations where I’m trying to talk them into staying in the family! (OK, not really, but you get my point!) Adjusting is just that. Everyone finding their new place in a new family. 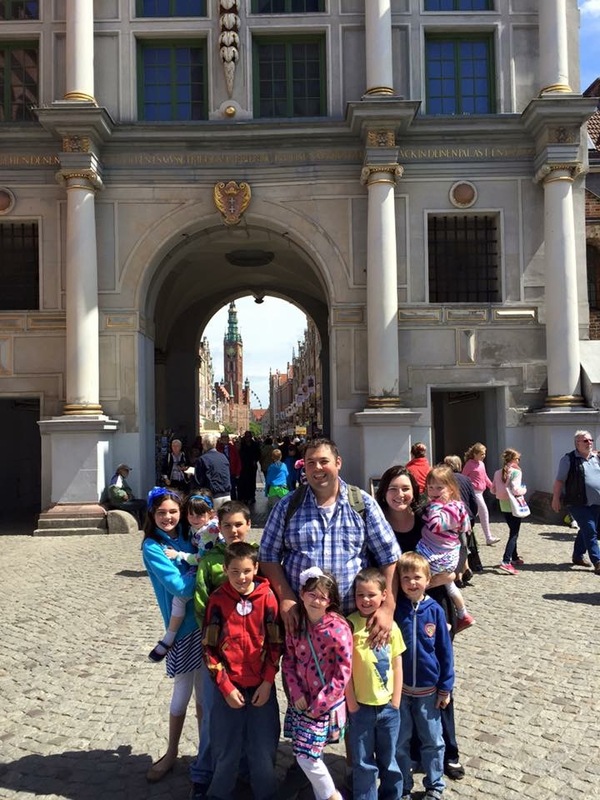 I expected our Polish kids to have a bit of a learning curve, but in our idealized language, we honestly thought we’d come home and go back to our life, just with four more kids in tow. Nothing could be further from the truth. I’ve been surprised by how much our family has been thrown into chaos. We’ve had to learn new rhythms, new schedules, new meal planning, and more. My bio daughter is learning how to share her space and have sisters. My boys are learning what it’s like to have little girls around. EVERYONE is adjusting. I even think Charlie the dog isn’t quite sure where he fits. Remembering their age. Not their biological age, but their emotional age. I’ve already written a snippet about this, but it’s so very hard to remember. Our bio 10 year old son has always been large for his age. When he was five or six most people thought he was seven or eight – and they’d expect him to act that way. Even for us it was sometimes hard to remember he was just a little boy. Now we have the reverse. We have maybe a 2 year old in the body of a four year old. Or maybe a 3 1/2 year old in the body of a five year old. And developmentally, this is pretty accurate as far as their life-processing ability. Talk about compounding a language problem! It’s very difficult not to expect more from them than they can deliver. It breaks our hearts when we think of everything they’ve lost. Not some of the big stuff (as difficult as that is) but just some basic stuff. The kids have zero sense of permanence and assurance. They are certain if they mess up they might lose their place in our family. No child should feel this way. I know we’ll conquer this at some point, but changing that way of thinking in a child is incredibly difficult. Because of their past, we’ve noticed they have very little ability to imagine. The other day, Amy sent the two little girls to their rooms to play. She left them standing in the middle of the room talking about what to play. When she came to check on them fifteen minutes later, they were in the exact same spot and told Amy they didn’t know what to play. Surrounded by toys, they couldn’t muster the imagination to get started. Further, we’ve noticed, other than food, they typically don’t know what they like or what their genuine interests are….because they don’t know! The kids have never had anyone guide them into trying new things to see what kinds of activities they enjoy. I think they’ve always just parroted one another, liking whatever someone else liked in order to fit in. Over time it has become more and more obvious the older children lack identity and confidence. I say the older children because I think you can identify that issue in older kids but it’s much more difficult in younger children. But, I would say it is likely an accurate statement for the younger as well. The way it manifests, however, is very different. In the older kids, as you might expect, the lack of confidence and self-identity manifests with very sensitive feelings. Anytime the slightest of harsh words are spoken to them, they immediately conclude they are not liked or cared for any more. We have spent a lot of time talking with them about TRUTH and guarding one’s heart. In the younger kids, and this is the source of our 3 year old’s issues, this manifests as control. She wants to be in control. It’s the only place she truly feels safe. If she relinquishes control to Amy or me, it feels like her whole world is slipping away. We have had this conversation over and over and over again, but her little mind just can’t comprehend what in the world we’re talking about! Control manifests with lying, deceit, independence, a refusal to ask for help (and then creating a much bigger problem), etc. Oh wow….I cannot minimize the struggle this has been and continues to be. All because these little hearts never had the chance to discover their self-identity and enjoy the safety of experimentation in a mom and dad’s love. When the children struggle to respond to us, it’s very hard not to take their indifference as rejection. Again, this has been most prevalent in our younger girls. A couple of weeks ago, we discovered they honestly believed they would eventually return to Poland and the home of their foster mom, whom they loved a lot. We’re glad they received such good care from her, but we also feel this belief has hindered them from bonding with us. When we tried to explain to them they would never be returning but they were now in our family forever, they wept. I guess that’s how we knew they understood. They wept. Bitterly. Not gonna lie…..it hurt, both for them and us as well. I wanted them to want us as much as we wanted them, and to this point, that had not been the case. Who said younger kids were easier??? I know, in our idealized language, we never really considered we would have to navigate feelings of rejection. I get it, I guess, but it hurt a little just the same. I’m under no delusion. These are just the first few things we will be working through in this journey of a lifetime as we learn to speak the same language. In the meantime, we’re going to keep talking about the wonderful hopes and dreams we have for our family and each of our kids. We’re going to keep praying bold prayers and giving God a chance to mend little hearts. We’re going to get up everyday and keep pressing forward. We KNOW God has joined us together. He brought us together and made us a family. Together, little by little, we will learn to speak this new language. And less and less will be lost in translation. Oh, by the way, I have another blog I’d like to invite you to check out. This one is about living for God in this crazy world. You can check out my other musings by clicking HERE!!!!. Read the “About” page to see what the title means! Also, Amy and I have decided to vacate Facebook (look for a post on this coming soon on the other blog). Many of our readers came from Facebook links, which we no longer will utilize. So if you like what we share on this page and have a Facebook profile, would you mind sharing a link on Facebook for us and/or recommending this blog to others who may be interested? Thanks so much!!!! I have a love hate relationship with technology. Sure, there are many conveniences for which I am eternally grateful: Indoor plumbing, automobiles, online bill pay, our aforementioned clothes dryer, email, toilet paper, and our microwave. Microwaves are excellent at reheating food….but, other than bacon, a regular microwave won’t produce the lusciousness of a grilled piece of BBQ chicken, or the carmelization of a tender filet, the succulence of an oven roasted, salt encrusted potato, or the fall off the bone deliciousness of a rack of ribs. It’s fast and convenient, but it just can’t produce real, edible results for high quality cooking. Like the idea of the have-it-right-now microwave, we live in a want-it-now culture. If we want something, typically, we just run out and get it. Most of us enjoy marvelous amenities in our lives never before afforded to so many people on the planet in all of human history. For the most part, whatever you need and most of what you want, can be purchased at a store within a reasonable driving distance from your home. It’s quick. It’s convenient. It’s cheap. But QUALITY is rarely quick, convenient, or cheap. Quality takes time. Quality is difficult to achieve, and quality most assuredly costs more. Quality is more like a crock-pot. Now I love cooking in our crock-pot, or maybe you’re more comfortable with the term, slow-cooker. Either way, this device is a wonderful way to get quality food, and a lot of of it. Invented by a Jewish immigrant in the 1940s, the Crock-Pot was originally designed as a Sabbath-loving food device families could use so they didn’t have to break the Sabbath by doing work (cooking). In the 1970s, the inventor sold this concept to Rival Manufacturing Company and the rest is history. We make all kinds of things in our Crock-Pot: Stews, soups, Honey Chicken, Chicken Parmesan, roasts, ribs, beans, buffalo chicken cheese dip, tacos, casseroles, desserts, etc, etc, etc. It’s always delicious….but it’s not quick. Time, patience, the right combination of ingredients, and progress, a little at a time, are the hallmarks of good Crock-Pot cooking! Amy and I have concluded adoption is the same way. Adoption is Crock-Pot not a Microwave. From the moment you sign up to adopt a child, whether you’re waiting for a referral or you have identified a waiting child, it’s going to take time. For us, we went to court five days before the one year mark of first identifying the children on a waiting child website. This is pretty typical for children waiting on a family to find them. For those adopting and waiting for a child to match with them, the wait can be even longer. We were ready to receive the children into our family long before they actually came into our family. Waiting is frustrating (I’ve written much about it on this blog!). It’s like the Crock-Pot…..the smells begin to fill the house and you think, “It’s ready! I can’t wait to dive it!” but the timer says it’s only halfway through. You can almost taste the goodness waiting in that pot….but it’s not yet. That’s how this part of the waiting feels. You can smell it. You know it’s coming. But you have to wait until the full process is complete. Finally the moment comes! You pop open the lid and give it a stir. The lusciousness of the food permeates your senses and you steal a bite. Oh what bliss!! The day we walked out of court, with a decree stating these children were ours, was one of the six or seven best days of our lives (matched only by the birthdays of our bio kids, our wedding day, without which none of this would be happening, and the days we met Jesus)! We were thrilled to land in Indy on July 11th and be back on our home turf. Like the day we walked into our home for the first time as a family of 10…and many other lid-popping days where the aroma of this wonderful thing of which we are a part filled our lives. There’s just nothing like that first look…and smell. But then you get into life. You parent. You correct. You encourage. You find out stuff you wish you never knew but you need to know so you can heal old wounds. There are days you’re so angry over what others have done to these wonderful children – why their family couldn’t get it together for their sake; why the foster system didn’t serve them better; why it took so long to get them home. Those wounds and learned behaviors and old habits aren’t addressed quickly. It takes time. It takes patience. It takes care. And more than anything, it takes mettle. You better buck up, my friend, before you bring this child or those children into your life. It isn’t what you thought it would be when all the ingredients started cooking in the pot. It’s much harder than you thought. Much more emotionally trying. Much more draining. Much more challenging and much, much slower. We have battled for the spirit of one child, while trying to get another one not to lie to us. 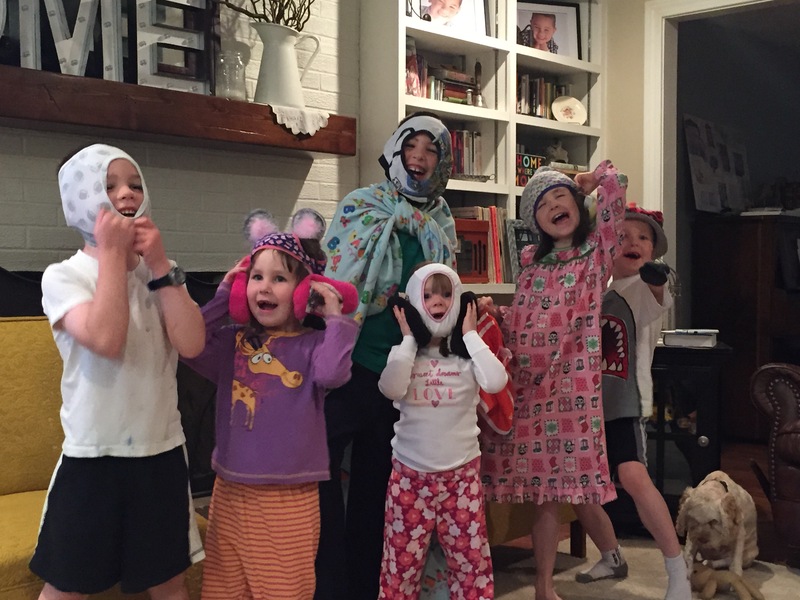 Our kids are so scared of…well…everything right now. Full of uncertainty and apprehension. The emotions we have felt through this new change is multiplied many times in their little hearts. It took three weeks for Judah to initiate affection towards Amy. It took a couple of buckets of tears to emotionally deal with what felt like rejection from another and we haven’t fully conquered this “control” issue even yet. I’ve talked my bio kids off more cliffs in six weeks than the previous six years. We are still (and will for a long time) be dealing with the residual affects of our children losing their birth family. Even though it was a train wreck, it’s still a loss for them. We are still (and will for a long time) dealing with the fact our children have never truly had parents. They don’t know how to trust, how to be vulnerable, how to fully love and receive unconditional love. They’ve never been lovingly corrected or disciplined. They’ve never had anyone tell them they couldn’t have something and explain why. They’ve never been in a place they knew was permanent and could just be them. Heck, they’ve never even had a birthday party……. All of that and more affects them. Helping them overcome those liabilities and begin to heal from whatever wounds are in there is not a “microwave moment”…..it’s much more like a Crock-Pot. We have to let it simmer. We have to be patient. As my favorite TV chef would say, our patience will be rewarded. Because we will win. I have zero doubt. God is helping us and EVERY SINGLE DAY there is progress. We’ve just learned to be patient and not expect immediate gratification. We’ve learned to celebrate the little victories (i.e. “She talked to me when I was asking her about ____ and didn’t shut down!!! Yay!!!!”). We’ve learned to hold on to the good and let go of the pain and rejection we have sometimes felt…it’s really difficult not to take that kind of stuff personally. But I must believe our difficulty doesn’t compare to what they have faced in their young lives. I don’t know when we will win, but I know we will. God is STILL working in and through all things in this journey. He’s just showing us adoption is a Crock-Pot; raising children is a Crock-Pot; LIFE is a Crock-Pot. The very best meals gotta simmer a while. I realize it has been just over a month since we have blogged. This has not been on purpose, specifically, but at the same time, we have waited to see what the first few weeks home would bring our family. I mean our desire with this blog is to encourage other families to both adopt themselves, but also to glean insight and thoughts on the process of, pitfalls of, power of, and promise of adoption. We sincerely hope we are helping some of you in these areas. 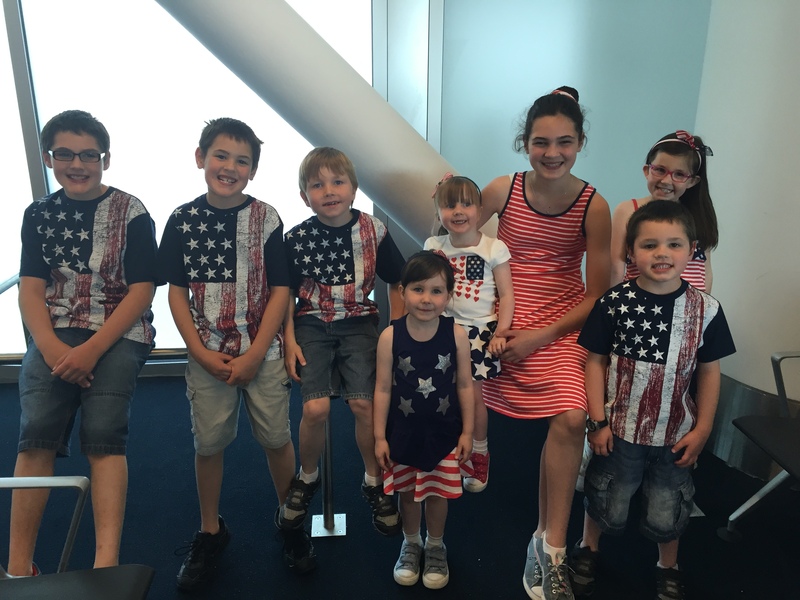 We arrived home on July 11th to some wonderful friends waiting for us at the airport. After 17 hours of travel, the kids were pretty pooped and overwhelmed by the crowd who had come to greet them. I think they could not comprehend how so many people could love them who had never met them. That is a pretty powerful phenomenon. Any parent has experienced this, loving their children long before they first hold them in their arms. We are grateful for the hundreds of people who’ve believed with us for these children and loved them from a distance just like we have. But now we are home. Home is NOT Poland. I have my Yukon back (I may have cried at her site and hugged her. She deserves a name, now). We have our dryer and a washing machine which will hold more than three pairs of jeans. We are thankful for some of the comforts we enjoy! People ask us all the time how things are going. I’m never quite sure how to answer that…..I have nothing to compare our experience to besides those we know and love who’ve gone before us and been gracious enough to share their journey. Ultimately, though, everyone’s adoption journey is unique to them….ours is still unfolding. First, the adventure has definitely worn off. Of all of us. We are all trying to find the new normal. Our oldest four have had the most difficulty with this (one is adopted in that group). Their emotions are high, they understand what is happening, and that things will never again be what they were three months ago. Dealing with change isn’t easy. Our oldest daughter, particularly, has wrestled. Previously, she was our only girl and my only princess. Now she shares that with three other sisters. She shares her room, her space (she’s a bit of an alone-time seeker like her dad), her dolls, and her closet. What she’s discovered is her sisters don’t exactly have the same definition of “clean” as she does. This has caused some friction. We have been encouraging much grace and patience. Our nine year old daughter (adopted) is finding her place. She’s the oldest of the adopted bunch and she’s a girl….so those two oldest girls, both used to being the oldest, both used to being in charge, both bull-headed and strong willed, have had some battles. Nothing brutal, just, what I would consider, normal brooding and space-defining; jockeying to find their position in the family again. The little girls are oblivious to all of this and are normal five and three year old knuckleheads. Chloe and Abby, often knuckleheads themselves, will find their way, and they are. The boys have dealt with some jealousy, I think, of sharing mommy and daddy with their brothers and sisters. Not unlike how a toddler might feel when a new baby is brought home from the hospital. I don’t think the boys would articulate what they feel as jealousy, but we think there’s a little bit of that going on. 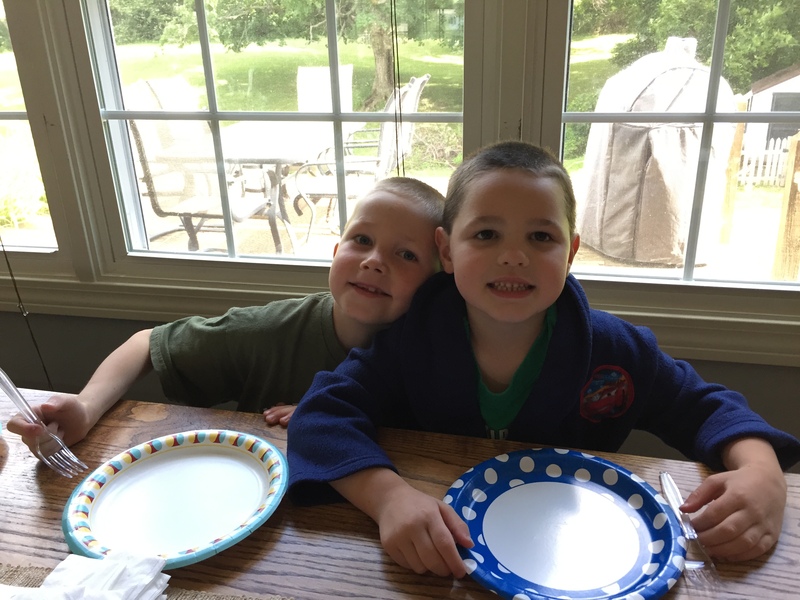 Overall, the boys are getting along splendidly, though our ten year old wants his own room back – mostly because his brothers don’t exactly clean their messes up. Judah, our six year old adopted son, has integrated nicely and is VERY thankful for brothers, though he’s not trying very hard to learn English. I think this will come. Since our oldest children have had the hardest time adjusting at home, we have tried to maintain open dialogue and quality time with them so they can express how they feel, often through my daughter’s tears. She loves her sisters and is glad they are here, so she has some guilt over how she sometimes feels about non-essentials. She’s also eleven and hormones are beginning to express themselves! Patience, time, copious amounts of grace, and refusing to “rescue” the adoptive children from sharing responsibility is helping a lot. I think in six months or a year we will all have adjusted and will find our new family rhythm again. But….it very well may take that long…. with challenges we never faced with our biological children. For instance: pouting to get your way. We nipped that one in our biological children when they were toddlers, before they could talk back! But NO ONE, and I mean NO ONE has ever nipped that one in our adoptive kids – especially in the girls. So the two younger will pout to try and get us to give them what they want. It has been an uphill battle, but i think Amy and I are helping them understand we’re not moved by their stuck out lip and a few tears. We’ve seen it all before! The problem comes when this is not dealt with at a younger age. We end up with a nine year old whose pouting to get her way at age five or six, has turned into full out manipulation to get her way or blame her sister(s) for something. This will be a harder mountain to climb and a common survival tactic of older adoptive children, but we believe consistent parenting will ease this over time. It’s already helping. My goodness how far we’ve come in just over two months with them!! them have received sub-par care for a portion of their life, and most of them have received marginally better care in an orphanage or foster system. Virtually NONE OF THEM have actually been parented. I think it’s because people feel sorry for the past they have suffered. I get that. But honestly, feeling sorry for them, and because of that, giving in to their every whim, makes the parenting job of their forever family much more difficult. On a side note, I guess this issue isn’t reserved for orphans only. As a pastor I see MANY children whose parents are failing to provide the discipline and consistency the child needs. The result of a lack of parenting at a young age is a selfish, manipulative, arrogant, and entitled brat at an older age. The lack of consistent parenting in my generation is killing us as a people. If the tide doesn’t turn, I shudder to think what we’ll be left with in twenty or thirty years. I mean congress is bad enough now, right? We must be better parents. Sea where there is zero humidity and a hot day is 75. We’ve had two of them nearly pass out because of overheating! Food is an issue for many adoptive kids. Abby has been the greatest challenge with this. She hates Cheeze-Itz….but she loves Goldfish Crackers. We tried to explain to her they’re virtually the same thing, but she didn’t believe us!! We’ve been consistent with her trying all the new foods. At first she was very obstinate and stubborn. I think she sat at the breakfast table for an hour and half one morning because she refused to eat her Raisin Bran. With eight kids, you get what you get and you don’t throw a fit!! It’s our motto. My encouragement would be to maintain consistency and don’t indulge the manipulative pouty-ness employed to get something different. If you do, you better be prepared to be a short order cook! It’s definitely still an adventure and challenge, but in a different way. There’s no more paperwork (for now); we don’t wait on pins and needles for an email with fresh information; and we don’t constantly day-dream about the day we will get to all be under the same roof….all of this has been accomplished! The challenges are just different now. Thankfully, we’ve not had behavioral issues, fits of rage, nighttime issues, or things like this. My heart goes out to those of you who have dealt with much more heartbreaking and difficult children than mine have so far demonstrated themselves to be. I trust the Lord will walk walk with you as you trust Him and believe in His plan for all of you. After all….this whole adoption thing was His idea, right? Momma said it….or at least somebody’s momma did. There will be days like this. We haven’t had a bad day or anything. I would say our day today was pretty normal. We are continuing to learn what challenges we will face both with the children as we work to instill in them spiritual things, values, morality, right thinking/acting, & so much more, and with our new family dynamics. We are doing the best we can and know how to do with our limited experience. Amy and I often think of how grateful we are for the friends in our lives who have blazed the trail of adoption ahead of us and the wisdom, encouragement, and love they continue to show. One funny dynamic happens with our youngest (A). Well, it’s funny from an interesting perspective, not an LOL perspective. In one moment she will be very affectionate and engaging – at least for her. She’s definitely an introvert and takes a while to warm up to people (All my friends/family at home, please remember this when you meet her!). She has a cute laugh and is very loving when she is comfortable….but she’s got a major stubborn streak. So, one moment or day she’ll be very engaged and loving, and then the next she will scowl at you as if you are the last person on earth she wants to be around. Last night momma was the best thing in the history of her young life. Then this morning she refused to give momma a hug and would barely even look at her! Then, a while later, she crawled in her lap and hugged on her for five minutes. This is VERY minor (I just heard all the adoption folks who have dealt with much worse roll their eyes!) and we understand this. But it got me thinking about some things. We have read stories like this before we came to Poland, as we prepared for this process. Many of the stories we read were tragic and much more traumatic on both the child and the parents. We are well aware we have very limited knowledge at this stage of our new life. I do not want you to think I believe we have it all figured out or know exactly what we’re doing. We certainly don’t. But there are a few things, seven to be exact, I’ve really been thinking about and Amy and I have been talking about, as this process has unfolded before us. I thought I’d share them with you. Everyone wants the fairy-tale adoption story. You know the one where the child(ren) see you pull up to the foster house and begin jumping up and down with excitement. The car stops and you begin to get out. They run to you, throw their arms around you and profusely thank you for coming to change their life! I’m sure this has happened somewhere, but I seriously doubt it’s the norm. Or the one where the family instantly gels as a cohesive unit. All the children get along and have all kinds of things in common. No one gets on each others nerves; no one has dysfunction evident in their lives; no one experiences withdrawal, grief, or culture shock; everyone believes in what your’e doing….etc, etc, etc. Oh, and the unicorn is tied to the rainbow in the back yard. 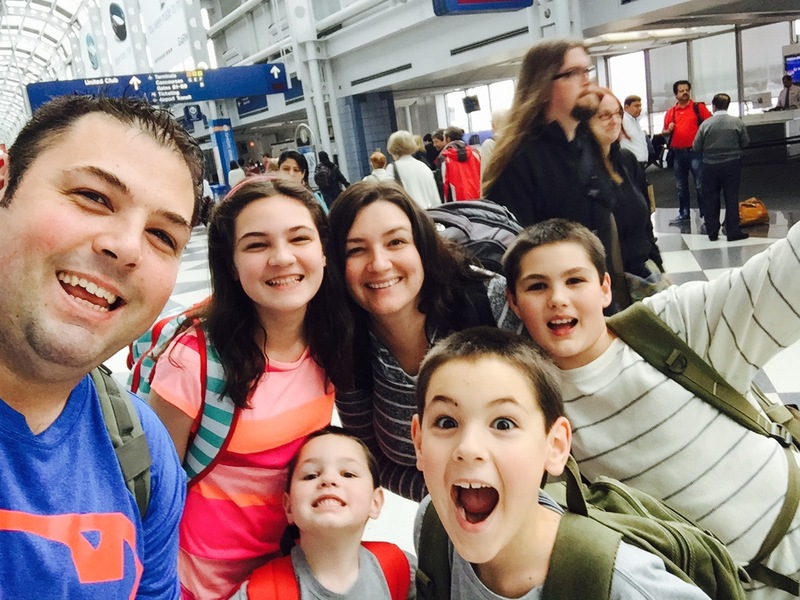 The best thing you can do as an adoptive family, is check your expectations at the airport. The expectations of what will happen those first few weeks will most likely not happen. You will have challenges AND victories you never thought of before. You’ll have things thrown your way for which you were not looking. NOTHING in life ever happens the exact way we have planned it out in our head, so check your expectations at airport. Instead, take it day by day, as it comes. Don’t get thrown off course by the hard or scary or frustrating things. Trust God through the things which happen exactly like you pictured and the things which don’t. You’ll have many more of those, so learning how to trust God through the unexpected is best discovered in the early stages of adoption, long before your feet reach the soil of the adoptive country. What I described above about our youngest is much more the norm. There will be days you feel like you made huge progress. The kids show affection. They listen. They obey. They take a bath. They are just kids and you breathe a sigh of relief. But then you take a few steps back. They wet the bed, they can’t tell you what’s wrong because they don’t even know, major tantrum eruption, you have a day or two where you just can’t get on the same page. Everything feels like it’s falling apart. Then, it all changes again and things begin to look up. I’m no expert, but I think this is normal. I mean, think about it. Their entire world has just been flipped upside down. All of the sudden these strangers show up, hug and kiss them, tell them they love them, and they’re supposed to call them “mommy” & “daddy.” Then, they’re uprooted from whatever “normal” has been and whatever routine they have established and are asked to learn brand new things very quickly. This is hard on any child. Our best defense for this is patience and grace. It’s easy to get frustrated or angry because you’ve shown them sixty-three times where to put their laundry, but it won’t help. They need grace. You need to maintain your sanity. I say choose both! I think it was in our Hague adoption training where the facilitators mentioned the statistic orphans are one month behind for every three months they’ve spent in less than optimal care. This means if your child is three years old and has been in an orphanage their entire life, they’re not three years old. More like two years old, and they act like it! Doesn’t that explain A LOT?? Even if your child is in foster care….is that “optimal”? Well, it’s probably better than an orphanage (depending on the foster home), but I’m not sure we could qualify that as 100% optimal. Please, if you’re a foster parent, take no offense to that statement. I’m just saying living in a foster home isn’t the same as living in a forever home. That is hardly debatable. So, chronologically our children are 9, 6, 5, and 3. But much more likely (and we think their behavior, emotional capacity, etc lends enormous credibility to this) they are 7, 5, 4, and 2. The younger aren’t quite as far behind as they’ve had less time in less than optimal care. The good news is you WILL catch them up. But it will take time. I can’t remember the exact statistics on this, but it’s something like the same amount of time in reverse. So it takes three months in optimal care to make up one month of less than. I’m not 100% on these numbers as I’m going from memory. Bottom line, keep in mind the children’s chronological age likely doesn’t match the age at which they are processing life. This is an important fact for family and friends of adoptive kiddos to remember when they return home. It’s called this for a reason. Minimally, orphans were given up by their birth parents for a myriad of reasons we shall never know. In the worse case, the children lived with their parent(s) for a while but then at some point removed from the home. In this case, the trauma is two fold. First, what was happening at that home which caused it to be a dangerous environment for the children to be removed? Secondly, regardless of the answer to the first question, the child will be traumatized because of being removed from the only family they’ve ever known – even if that family was destructive. Every orphan has wounds….even if they cannot articulate what those wounds may be. This issue is what makes caring for orphans both difficult and critical. Less than optimal means exactly what it says and it needs to be kept in mind. They’ve spent a lot more time in this kind of care than the excellent care you’re providing. They neither know how to process this nor even exist within it. Don’t let this throw you….just stay the course. Oh, for the love of all things that are Polish keep this in mind!! While you’re in the adoptive country everything seems to compound into frustration. I’ve written before about all the conveniences we American’s take for granted often absent while in country. Couple this with the two-steps forward and three-steps back scenario, and you have a recipe for explosiveness. If you’re not careful, these little frustrations become major issues and can drive wedges between you and the people you care most in the world about. I know this seems crazy, but after doing marriage counseling for fifteen years, I can tell you it’s rarely the major issue providing the wedge in a marriage, but the compounding of small, insignificant annoyances. IT WON’T ALWAYS BE THIS WAY! You will again sleep in your bed. You will help facilitate the healing of your children’s lives. Scars will remain, but healing will come. You will get to (or have to) go back to work, life, friends & family. You will settle in to a new normal and full bonding will happen. There will be fewer and fewer days of regression. I think this one is huge. There are always people who seem to have had an easier time OR people who are having a much harder time. One of the most detrimental things you can do is compare your experience with someone else’s. Gleaning insight from those who’ve gone before you is a worthwhile and important thing to do. But comparing your experience to theirs is not helpful. Instead, embrace what God has put before you….including the warts, lice, lack of clothing, scabies, fear, and whatever else the children may bring with them. Remember, they also come with beauty, innocence, curiosity, wonder, and hope. Embracing the children and whatever they bring is key to living in faith and trusting God. If you’re always comparing your situation to what He has done in/through others, you will have a miserable existence. Trust God is giving you exactly what He’s appointed for you and your family….and for that child. He most assuredly chose you for them….but He also, just as much, chose them for you. Embrace it. His MERCIES are NEW EVERY morning! Whatever today has been – good and bad – leave it in today. He will give you the mercy and grace you need to face tomorrow, whatever it may bring. It may be harder than today. It may be more joyful than today. It may be lavished with victory or burning with setback. Regardless, His mercy is apportioned for you to face whatever may come. So rest easy…..Jesus said not to worry about it. Each day has enough trouble of it’s own. This time you spend early in the adoption process called “bonding” has one purpose as far as I can tell: Trust. We want to build solid lines of trust. Why? Because in a couple short weeks, we get to go home. And while the part of our family who made the first jump across the pond is looking forward to familiar and comfortable things, for our newest additions, this will just be another season of turmoil as we start over finding our new normal. Hopefully, we will have built enough trust and will be able to keep these thoughts in mind to have good days…..lots and lots of good days. I’ve purposely waited until today to write this post. Today is father’s day in the good ‘ol US of A. My fatherly type friends at home will gather with their families today, call their own fathers and grandfathers on the phone, and hopefully enjoy a nice T-Bone steak on the grill accompanied by some peace and quiet….or something like that. I, on the other hand, am in the middle of no-where (a picture of the town in which we are staying is literally the cover photo of the “Middle of No-Where” Wikipedia page. OK, not LITERALLY, but it could be! ), eating over-boiled perogies, enduring the immense noise emitted by eight children, and watching them collect snails in between rain showers. On Friday, Amy and I ventured to family court in the town of Slupsk in Northern Poland after three full weeks of constant bonding-contact plus three days because of the court schedule. Neither of us slept well Thursday night as we nervously anticipated the complexities of the legal proceedings. Our agency had provided us with potential questions the court may ask us, submitted by families who had cut the path to adoption previously, so we at least had some guidance. We also are grateful for the encouragement of our friends who, just a year ago, today (Father’s Day), I believe, brought home a sibling group of four of their own from North Central Poland. You can read their story here. the docket Friday morning. I wasn’t sure if this was a good thing or not. Other families had shared court was not much more than a procedural thing and would last from 30 minutes to an hour. I was thinking, though, without any other cases bumping us out of the room, we could be there as long as the judge wanted to work on us! In the court room, which unfortunately was not as awesomely grand as some of the Grisham novels I’ve read and movies I’ve watched, we headed with our hired certified interpreter and wonderful country liaison, Grace. The judge was seated in the front, where you might expect the judge to sit. On either side of her sat the jury, and older gentleman who looked like a sweet grandpa one might enjoy shooting the breeze with on a country porch while sipping a mint julep, and an older lady with a kind smile and soft eyes. The judge was no older than me, and quite possibly younger. I wonder if Polish judges are elected or appointed? She wore the proverbial black robe, but also had a medallion of sorts hanging from her neck by a thick chain. The medallion looked to be the same symbol Poland uses on some of their national flags. The only other person at the front was the court secretary who would type everything into the record. Amy, me, and our translator took our seats on one side of the courtroom, perpendicular to the judge’s seat. Across the way sat the prosecutor, representing the State, and the children’s legal guardian. I can’t say we knew this lady very well, but had met her on three or four separate occasions. The kids fondly called her “aunt” and loved seeing her the few times she visited us. By all accounts, she is a wonderful lady and an excellent foster mom to the children in her care. We knew she was on our side and SO happy the children were getting to stay together. Honestly, this was a little comforting knowing we had an ally on that side of the room. We weren’t yet sure about the prosecutor! The judge called us to order and took care of some preliminary things like telling us all not to lie, reading the evidence (our dossier, social worker reports, recommendation letters, etc) into the record, and naming all the parties present for the proceedings. Next, Amy was called to the stand. Now you have to know something about Amy…..She isn’t a fan of public speaking. I had prayed she wouldn’t be grilled to talk about the things she wasn’t confident talking about. Hopefully the judge and prosecutor would stick to Amy’s bread and butter….school, organizing the house, what she has learned about the children, etc. A curve-ball might throw her off. I had also prayed the judge wouldn’t keep her on the stand for very long. I’m the talker, grill me!! God answered one of my two prayers. She was on the stand for forty minutes! That’s an eternity to an introvert! Thankfully, they asked her only questions she was comfortable handling. She took it like a pro! The only catch was neither the judge nor the prosecutor had ever heard of homeschooling. I could see the prosecutor’s face when Amy said we schooled the children ourselves at home and she was the teacher. The prosecutor’s face wrinkled up like you had just tried to feed her a delicious kielbasa seasoned with cockroaches! In that moment, I heard myself say to myself, “uh oh.” Now, our dossier fully explains homeschooling, why we do it, what we use, etc. I really wish the judge or prosecutor had actually READ our dossier. we had expected some questions in regards to our education choices, but we also expected the judge to be familiar with our dossier. Since they weren’t they asked several follow up, clarifying questions because they had never heard of it! It was all I could do to sit and let Amy speak. I wanted to jump in, defend our decisions, show them how important and good this could be, especially for our adoptive children. I’m the talker. Instead I had to sit there quietly and let Amy handle it. Which she did. I don’t expect the judge to be searching for homeschool curriculum on eBay anytime soon, but we cleared the hurdle. Finally they let Amy off the stand and I took my place. My questions were more benign, I thought, focusing on the socialization of the children (I really think they were wondering if we ever left the house), support systems, plans should any of them need specialized care, etc. It took maybe 20 minutes. When I had finished, the court recessed to wait for the judge’s other curve-ball to arrive. She asked the oldest of the two children to join her. She wanted to talk to them. Would have been splendid to know she wanted to do this on Thursday! So Abigail and Judah arrived and the judge took them, one at a time, in her chambers, alone, to talk to them about who knows what! We didn’t like this set up. Neither did Grace. Minimally, the children’s guardian should have able to be with them. I had the thought, this would probably never happen in the US! After she talked to the kids, court resumed. Next up was the guardian. She testified the shortest and had nothing but positive things to say about our family and the children coming into it. We were grateful. She has been a foster mom for a long time and has some clout with the court. Her endorsement of our family, I believe, was important in this case. When she had finished the judge asked the prosecutor if she had any further questions. She did not. Then the judge asked if there was anything else we wished to say. I simply said “thank you” for being flexible with our timeline getting all of our documents submitted. The judge had moved the date by a few days to help us out. I wanted to thank her for that. After this, we were dismissed so the judge and jury could make the final decision and prepare the court decree. We went into the corridor to wait. I can’t really explain our feelings at this point. I think our emotions were full of relief it was over, yet apprehension we still didn’t know for sure what the judge was going to say. We did not anticipate a negative judgement, but she had already thrown us a couple curve-balls, and we really had no idea what the kids said to her or how she interpreted what they said….you know how children can be! We know in adoption it’s not done, until it’s done! After about a half hour, we were summoned back into the courtroom for the judge to read the decree. There were some seven points to the decree and some other necessary details we needed to finalize, but the bottom line is, we became a family of 10 in that moment. A years worth of work, prayer, time, and energy culminated with two pieces of paper which transferred legal rights of parenthood to Amy and me. But really, A LOT more than just legal jargon happened. As we sat and listened to our interpreter and the judge, at the same time, butcher our American names (she did the best she could! ), the moment happened. I don’t remember which point of the seven it was, but she said something to the effect the children would be given new names. I almost lost it. To everyone who is victorious I will give some of the manna that has been hidden away in heaven. And I will give to each one a white stone, and on the stone will be engraved a new name that no one understands except the one who receives it. I believe so many things were broken for our kids in that moment……chains to their past; generational brokenness; the plan of the enemy to steal, kill, and destroy; and probably more I’ll never know anything about. But there were also things which were created…..a new plan for their lives – God’s plans to prosper them, plans for a future and a hope; a new opportunity to know the Lord; they traded generational cursing for generational blessing; their whole family tree changed – even the court records show their new parents and the names of their new grandparents; they became heirs of godliness, righteousness, and faithfulness; they inherited a heritage in that moment; and they gained a FAMILY. A basic need/right for all humans of which these children have always been deprived. And all of this is only possible because of an old one…..ONE name; THE name; Above all names. So, I will have a happy Father’s Day. Yes, I will have noise, dirt, and apparently snails (I think they found some clams still in the shell, too). I probably won’t get my juicy strip steak or au-gratin potatoes. But I have something better. I have eight children whose destinies have been forever tied to the plans the Father has for them….If they choose to follow their heritage, their purpose, there’s nothing God cannot do through them. That, dear reader, is a Happy ANY DAY! I bet every generation has uttered these words or something similar as the world before them advances and changes right before their eyes. Bob Dylan even had a hit song by this very name. Every parent, at some point, realizes the world in which their children grow up will be (or more likely already is) vastly different than their own. All of us know this is the normal progression of human history, but we still find time to complain the “good ‘ol days” are long gone. I think I was fortunate in some aspects of my upbringing. The house to which my mom and dad brought me home from the hospital was the same house in which I had my 10th birthday party. In fact nearly all of the major milestones of my life happened around Winding Waters Lane…..It’s where I parked my first car (an ’84 Chevy Cavalier, mind you); and the same house which hosted my graduation open house and Amy and my wedding shower. In fact, it wasn’t until just a few years ago my parents finally decided to downsize and sold the old homestead. That house, on Christiana Creek, was an important and consistent part of my life for 25+ years. It was home. Home, though, isn’t just a house. It’s the people with which you share life. You see, I also grew up with predictable family functions – like the Christmas Eve gathering at my Clifton grandparents, and the New Years day shindig on the Carlson side. I knew where my aunts and uncles lived and actually grew up spending time with my cousins. Lots of time. I remember our family celebrating big days together, shedding lots of tears on the hard days-and we had some, and all in all sharing life together. I spent as much time at my grandparents homes as I did my own, especially in the summer. And who could forget how good my sister was at cheating at Old Maid (OK, maybe that was me!) on long road trips with my mom and grandparents. My life, for the most part, was stable, comfortable, consistent, and secure. I always knew my parents were there, my sister was just across the hall and if I was scared, on a good night, I could sneak into her bed past my dad in the living room, until he wised up to my sneakyness. I’ll never forget the first time I went to college. Those first few months are the hardest and I was REALLY homesick by the time Fall Break rolled around. I’m pretty sure I made it from Springfield, MO to Elkhart, IN in around 8 hours; 600 miles in 8 hours. I knew everything would be OK once I pulled into that long gravel driveway. I guess I’m saying I always knew my way home. Nowadays it’s not this way. Our lives are so convoluted and chaotic many people don’t know if they’re coming or going. Life is crazy, without consistency, and without the deep sense of family I experienced as a child. Generally speaking anyway. People are isolated, forced to deal with good and bad alone far too often. Amy and I have always tried, and often unsuccessfully, to give our children the same sense of home with which I grew up. Chloe has known only three houses in her life, which is far less than her momma had known at her age. Isaac has only known one. We have worked hard to shield ourselves from the craziness, over-scheduled, and indulgent lifestyles our society seems to portray as normal – and many line up to prove them right. Though I cannot say we have never ventured into those expectations, I can say we haven’t gotten stuck there either. But this has required NOT doing some things everyone else was doing (can you imagine actually saying “no”!?!?!?!). I hope our children will say they were allowed to be kids – to ride their bike, play with the neighbors, and have sleepovers. That they loved the impromptu slip ‘n slides, picnics on the hill, and spur of the moment trips to the park. That someday when they’re raising their own children, they will look with (mostly) fondness on their childhood; that it was safe, and pure, and lovely. And when they think about it, they feel like they’ve come back home. See home is more than a place. It’s more than a set of rooms set on a foundation. It’s more than a place to get your mail. Home is where your family gathers. Home is where you go when you need to celebrate or when you need to mourn. Home is where you go when you’re lonely, when you’re hurting, when you need to see familiar people or get a lick from the family dog. Home is where the proverbial heart is. Truly. My biological children, and even Amy and I, have been saying the old “I want to go home” complaint. I think, while we love Poland, we long to be in that place where our family is (I use that term, not to indicate blood relations, but those with whom one does life), to be around our things, to drive the tractor, play with Char Char (our dog), and even just be able to go to Meijer for a couple of hours. We want to go home. But then I think about our Polish kiddos. Have they ever had any of this? Where is home to them? What brings those feelings of familiarity and hope and that everything is going to be OK? Who celebrated good days with them and mourned the bad ones? We want to go home, but they’ve never really had a home to which to go! The home they came into from the hospital? That wasn’t a good place. Two separate foster homes in two years. While stable, they refer to their caregivers as “aunt” and “uncle”. This is not home, at least to me. I don’t feel guilty over how we feel versus how they may feel. I know they’re excited to come to our home and be in our family. I’ve asked each of them numerous times. They are looking forward to the bunkbeds we have for them. They’re pumped about our giant yard. They’re even looking forward to being a part of our church. And of course they’re very excited to go to Disney World very soon! But I know they have no idea the culture shock they’re about to experience. I know they have not thought about the soon to be necessity of learning a new language, just to survive. I know they have not quantified the possibility they may never again return to Poland, and even if they do, they are not likely to drive with fondness around their old stomping grounds in the same way I do Elkhart whenever I visit. I know the hill we are about to climb together will be high, steep, and challenging. But I also know they will be safe with us. Their little hearts will all-the-way heal from whatever trauma they’ve experienced. Some scars may remain but healing will be total. I know they will experience the love of a very affectionate daddy and the patient kindness of an amazing mommy. I know they will sleep warm in the winter and eat popsicles in the summer to cool down. I know they will have Christmas sleepovers at Nana’s house, eating far too many cookies while I polish off the box of Mojos from Martin’s. I know they will soon know the love of a family of believers, what it’s like to truly have friends who will walk with you, and teachers who will pray for you every day of your life. I know they’re about to experience what’s it like to have a home…..
And I know, after this, they’ll always be able to find their way back. There are many highs and lows in the adoption process. We probably had a dozen celebratory dinners and I gnawed through three bottles of antacids. The highs are often very high and the lows often very low. I would say, though, after our first trip, we were trying to get back so fast by expediting our I-800 paperwork, nearly all the emotion was put on hold as we worked through the final “business” issues to clear the way to Poland. Once we left, all the emotions and excitement came flooding in. When we boarded that Lufthansa plane as six knowing we were coming back as ten, our emotions came flooding back. Welcome to the highest of highs in the adoption process! We had already met the children, so while this was totally exhilarating, it wasn’t full of the emotions we felt the very first time. This time, I would describe it as relief…like coming home to your children after a ten day business trip. Glad to be united again. I certainly don’t want to minimize how we felt. That first week was full of family firsts – first meals, first night, first walk to town, first discipline, first caring for a scraped knee, and much more. Our hearts were getting fuller by the minute as each day of that first week passed. Then the calendar turned back to Monday. A new week. I cannot understate this: The adrenaline wore off. Welcome to, not the lowest of lows…welcome to LIFE. I mean it’s inevitable, right? One cannot live on top of the mountain forever. Eventually, even the best of climbers has to come down to reality. We always want to stay on the mountain top. It’s beautiful there. Sure the air is thin and we could die of altitude sickness, but my goodness, look at those views!! It’s amazing. But have you ever noticed nothing grows on the mountain top? I mean on REAL mountains. Great to visit, but life can’t exist for very long. As slow as the climb to the top seems to have been, the descent is 100 times faster. We have to get back to life! For us, this happened about 8 days in. Poland requires a 45 day trip (or so). We will be in-country 46 days, leaving on day 47. That’s a LONG TIME to be away from home, from familiar things, familiar people; a long time to be stuck in a bit of an alternative universe. The descent to reality was very fast. I feel like we’re in the valley now (this is not a bad place) so I thought I’d take this post and write about what some of you coming behind us might expect on your alpine descent. 1. You’re Going to Get Homesick – This is just a reality of living a month+ abroad. You have to understand you likely won’t have the conveniences of your own kitchen, bathroom, laundry facilities, and vehicle. At first it’s quaint and charming. “Oh look, honey, we get to hang our clothes to dry on the clothesline!” Such a mountain-top type statement. By day ten you are thinking about buying a dryer at Tesco just so you can get the laundry to a manageable pile!! Also, I’ve never washed so many kiddie cups in my life. By hand. I love my dishwasher. I may hug it the longest when we get home. Definitely longer than the dog! Now, you will likely not end up with eight children like us, but nonetheless, dishwashers and dryers are a bit of a luxury in Eastern Europe. Oh, and we’re literally stuck here. We can’t go anywhere because we don’t have a vehicle. If it’s not walkable, we’re not going without shelling out hundreds of zloty (thank God for a good exchange rate!! 100 PLN is about $28) to make it happen! I’m not complaining here. I’ve made my peace. I’m just warning you…..Expect to miss home, if not for the people, for the conveniences we take for granted in our everyday lives. 2. Your Kids are Going to Test You – All of them. Yep, even the ones you took with you across the pond. Everyone is learning a new normal. Everyone is trying to figure out where they belong in this new family dynamic. We actually have a biological four year old which tests most of the limits anyway. But it’s almost like all of our children are four again. Pushing the boundaries, whining about little things, finding their place. It’s just part of the valley. This is a difficult thing for all of the children. They’re going to try and figure out where they fit. I’m happy to say, at least for our biological children, they hit the wall and bounced back a couple days later. But the adoptive children have a longer road. They’re learning new dynamics, new expectations, new norms. We don’t do whining in our family. We don’t cry every time you fall on your boodle. We rub some dirt on it and move on. Adoptive kids don’t likely have this mechanism in them – well, at least ours don’t. We’ve had tears over some pretty trivial things, in my book. To get past this hurdle in the valley, you need copious amounts of patience and endurance. Amy and I have determined we can’t expect the same things out of our adoptive children yet we expect out of our biological children. They just don’t have the ability yet. It will come through patience and training, but patience starts with us. Your kids are gonna test you. Be ready. 4. There is LIFE in the Valley! More bonding, true bonding has happened since we hit the wall, descended the mountain, and landed in the valley than all the previous time combined. I think we are often afraid of the valleys of life. They are foreboding, confusing at times, and then there’s that whole “valley of the shadow of death” thing. But truthfully, without the valley, you and I would never grow – not as spiritual beings, not as parents, not as spouses, not as people. The valley is hard; the undergrowth is thick, and the mosquitoes are relentless. But the fruit is so sweet, the water is fresh, the life blooming all around us is amazing, and God is with us. The undergrowth makes us slow down and pay attention. The difficult terrain causes us to watch where we step so we don’t tread on those we love. The mosquitoes….they’re just there to throw you off. The enemy would rather you spend your time swatting at little bugs than realize the wonderful life with which God has surrounded you. Don’t be distracted by the dishes, or the lack of a dishwasher or dryer, or the fact you can’t even go to McDonald’s if you wanted. Focus on the LIFE God is producing in your heart, the hearts of your children, and frankly, anyone else with which you may come in contact. There’s life in the valley. 28+ hours of travel on Monday, got up. I thought for sure we would sleep in. Instead we were finding things to do at 5:30AM to pass the time. We had a few hours to kill. We picked the kids up at 11AM on Tuesday, May 26th. They were totally ready to go and ran to meet “Mama” and “Dada” on the stairs. We both got four REAL hugs, if you know what I mean. It was fantastic to see them and hug them and kiss them again. We spent a few minutes at the house going over some things with the foster mom. All of our court docs were in order so we loaded up the three duffle bags and two loose bags she had packed for them and headed out. First time together as a family. It was a pretty amazing moment; a little sureal. The rest of the day was a whirlwind of grocery shopping, introductions, setting up our home for the next three weeks, and wading into the deep end of the pool (figuratively – it’s WAY too cold in Northern Poland). A pretty profound set of moments when you think about it. I’m sure there’s a series of blog posts in there somewhere….whenever I can get my heart around it. So….how are we doing so far?? Chloe (B-11) and Abigail (A-8) have really bonded. Abby very clearly is attached to Chloe and thinks the world of her. To the point Chloe is having some trouble getting enough time with the other kids, and the other kids with Abigail. This drives me nuts as I want them all to bond…but I keep remembering it’s only the second day. Court is 3 weeks from tomorrow. We have time to work stuff like that out. Surely they’ll get a little sick of each other at some point, right? Abigail, though is an amazing girl. I think I have a clone of Chloe in lots of ways – and I’m so very good with this!!! VERY bright, kind, compassionate, practical (which I love), affectionate, strong, determined, hopeful, and totally with us. She fell first (for us, I mean) and we love her so much. She is so beautiful. Her and Chloe are just amazing together. Judah (A-6) is often a bit of a lost puppy. He was very clearly the odd man out in his sibling group of four. He is relishing having brothers. He thought it was awesome all four of them had Avenger’s hoodies to wear. He is Thor with a cape and pretty much hasn’t taken the thing off! The boys are playing well together. At times he’ll really have fun with Isaac (B-4), and at times with Gabe (B-8). Elijah (B-10) is being an EXCELLENT older brother trying to take care of his little sisters and make sure Judah isn’t left out. Judah tends to be a little mopey if he feels left out or that enough attention isn’t being paid to him. He will get through it, though. We had a nice talk with him yesterday via google translator. He’s a very nice & gentle boy – not very demonstrative (kind of like Gabriel), but he has obviously not been raised around boys. Luckily, the three amigos are here to save the day. Being now surrounded by so much testosterone is somewhat liberating for him! We played football (American, thank you very much) today for quite a while and HE LOVED IT (I was Aaron Rodgers-Carlson and threw a SWWEEEEEETTT pass to Jordy/Eli Nelson-Carlson straight down the seem…the catch was pretty good too!!)! Particularly when Judah scored a TD and we would all cheer for him. He’s NEVER experienced the love of a dad, so this is new for him. Ya know that need boys have to please their father….maybe you’ve heard of it…..it’s alive and well in Judah. I’m working hard to help re-program his “daddy-meter” so he knows he is loved AND accepted. Naomi (A-5) is a whirlwind of energy and drama. She is so very sweet, but also incredibly energetic and generally joyful until she doesn’t get her way. She is VERY bonded to Amy and they have even had to work through Naomi being a little naughty a couple of times. Amy handles it so beautifully and Naomi always apologizes and kisses here three times – both cheeks and the lips. Getting her to settle down at night or for her nap is a chore (but, not bragging here but this is one of my specialties!). And Shiloh always does whatever Naomi does, so this can be hard. 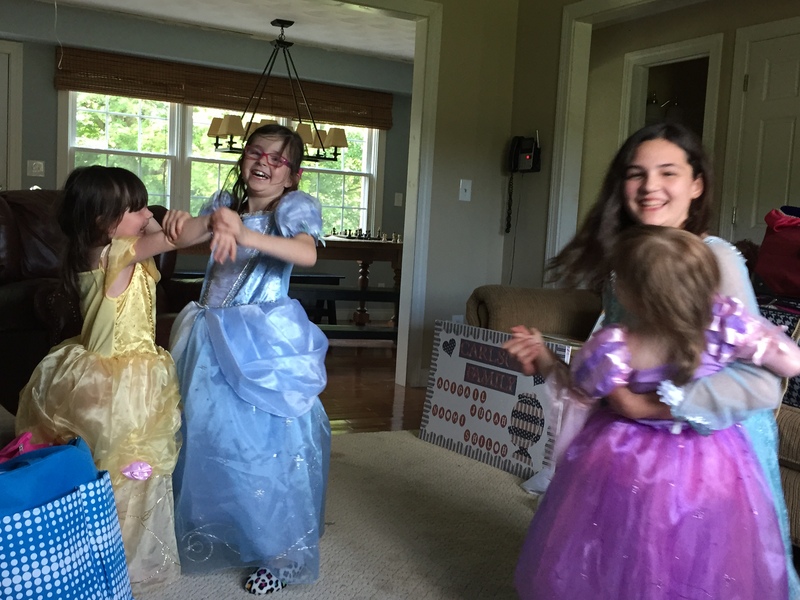 Last night, they were 99% asleep and all the sudden Naomi sits up and declares she needs a drink and to go to the bathroom – just like it was the middle of the day. Shiloh followed suit. Before I knew it they were both out of the bed and in the hallway. I could have swore they were asleep! Nonetheless, Naomi is just full of joy. She is an easy laugh and very artistic. She is independent and opinionated. She talks a mile a minute…in Polish, so we have NO IDEA what she says. Even our Polish friends who have seen her on video can’t quite keep up! She’s the one we really have to keep an eye on or she may end up at the next house seeing if they might be willing to give her their dog. They are lovely girls, all three of them, and their lovely sister from America makes four beautiful girls I am honored to call my daughters. As I said, Chloe is doing amazing. I’m so proud of her for sharing us and letting these four kids in her life. She loves them and it shows. Not every 11 year old, with insane hormones, could do this. Chloe surpasses them all! Lewis struggled the first day. We weren’t sure if he was just tired, or felt threatened. Yesterday I made him take a nap (boy did we have a negotiation session! He lobbied for a 10 minute nap. I countered with 45…I won.) AND he went to bed early. He slept the latest this morning and was totally his normal, Lewis-like-self…joyful, funny, and ornery. We were glad he was back, though we’re concerned he and Naomi together, if they ever figure it out, could rule the world – hopefully for the better…. He’s a little too pushy with Shiloh, trying to get her to like him. She takes time. He will learn…or she may punch him. Gabe had the hardest time with jetlag. He was SO VERY TIRED all day Monday and Tuesday. Then he started to miss Charlie the dog and wept all afternoon yesterday. He, like Lewis, slept well last night and was very much his jovial, care free, self. He also caught a queen beetle of some variety (he really should be an etymologist) and this made his day….he also got to scare his new little sisters with it in a jar! There are snails on the sidewalks early in the morning. He is having a blast looking at them. Sometimes I wonder, with my serious fear of bugs of all varieties, from where his love of all varieties of them came?? Elijah has been, to use miss Candy’s term, a warrior. I told him I felt before this trip, he would really grow up through this and we would see him become a powerful young man. I know it’s only two days in, but I am so amazed at how gentle he is and how much he cares for his little siblings (ALL OF THEM). He loves those little girls. Shiloh still isn’t sure about him, but he’s determined to win her heart, and I think he will. They’ll probably be the best of buds before we head home. I’ve never been more proud of him in my life. Oh, he’s done the normal “Elijah whining” here and there, but mostly he’s been a jewel…er….warrior. Mom & Dad….well….that will have to be for another day. 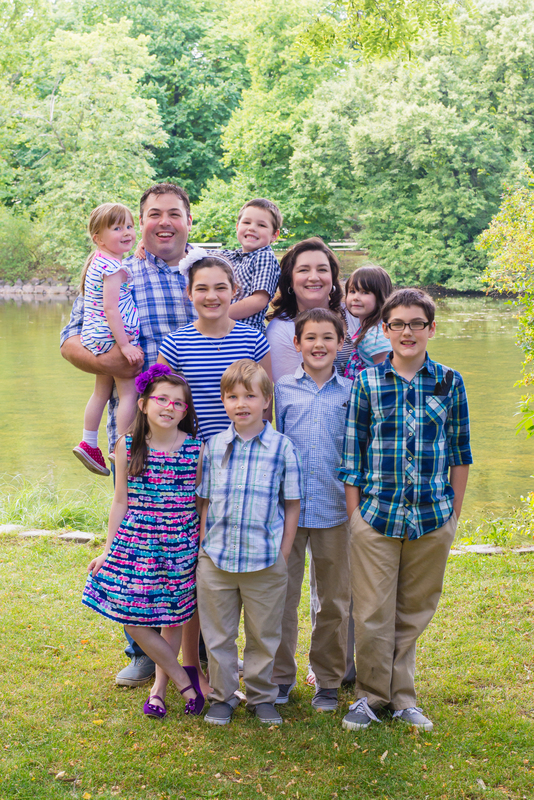 I know we are totally, head over heels, in love with all eight of our children. I don’t know how or why we are so blessed….but writing about it will have to wait until I sort out more of what’s filling up my heart. While we are in the home stretch of this side of this adoption, we know the rest is just beginning. As difficult as some of the things we have walked through have been, I suspect some of the challenges we face as the family tree of our children changes will be much more intense. It’s a spiritual battle. We leave on Sunday. This Sunday. May 24th. Our “Gotcha Day” as it is called in the adoption world is May 26th. We will pick the children up from their foster parents, and for all intents and purposes,, they will become part of our family. I can’t help but feel in a spiritual way, they always have been, but now it will be official! What an amazing moment that will be, as we, for the last time descend the 85 steps and roll out of the street Siri can’t quite pronounce correctly to head to our new home away from home….as a family. One, giant, family of ten. I can’t wait! As Amy and I have reflected on this impending day, we continue to be overwhelmed with an amazing sense of gratitude. I thought I’d take this last post on this side of the new beginning and mention some key people & groups who have walked with us so faithfully. This is always dangerous as I don’t want to leave anyone out…..I will do my best to keep this simple. Well, this wouldn’t be happening without you. Thank you Nina & Rebecca for believing in us and for asking us to take a risk on these kids. Without your encouragement, I’m not sure we ever would have asked for Poland to bend the rules for us. Thank you Rebecca……You answered every question; you responded to my texts & called me from your cell phone in a parking lot. Heck, you even came to visit us here in Indiana. God knew what He was doing when He connected our family with CHI & you. We wouldn’t have wanted to do this with anyone else. And our friend, Grace. Wow how much you have worked for us even before we knew who you were. Of course, you were already famous in our minds, but meeting you was one of the most special moments of this process. Our kindred spirits and mutual love for God and orphans is incredible. To see you advocate for the children, to go to bat for them is unmatched. We will try to express it, but you’ll never know how much we appreciate & love you. You are a friend for life and an honorary Carlson :-)!! You were the first granting agency to believe in this call of God. How grateful we are you came along side of us so quickly. You came on a day we needed it. You people are amazing. NO ONE prayed over us and this process like you. You were a partner in this thing and we will never forget that. Connected through our agency, but what an amazing gift! Thank you for the ministry you do for Indiana families. You are spreading the love of Christ in amazing ways. We are so grateful for you. Always concerned for us and our children. Your hearts for them and us are incredible. You finished this race for us. We can bring our children home without financial worries. You’ll never know the peace this has brought us. I still do not have words to say what you have done for us. I am speechless. What can you say about such an amazing church family. You have loved us, supported us, prayed for us, walked with us, hurt with us when things were shaky, rejoiced with us when good news came, sacrificially given to this cause – no one has given collectively more than you, and now you’re letting us go to finish this process for a VERY LONG six weeks. There are so many of you we could name….probably all of you who have done something significant or played some important role in this journey we have taken together. You are with us…..and we have felt it the whole time. We thank God every day for you. Always know we NEVER take you for granted. More than I could say. Your opportunity is before you….to be grandparents, aunts & uncles, and cousins to these precious children. They will know you and love you like no other. You will be part of making them who they are. We chose this for our family…you didn’t. We know that. We are grateful you have come along side of us and welcomed these children, albeit only in spirit so far, you will soon hug their necks and kiss their faces, changing their family tree and heritage with us. We couldn’t do this without you. I won’t name you here for your own privacy. And I’m certain a few of you would punch me in the nose if I did, but you know who you are. 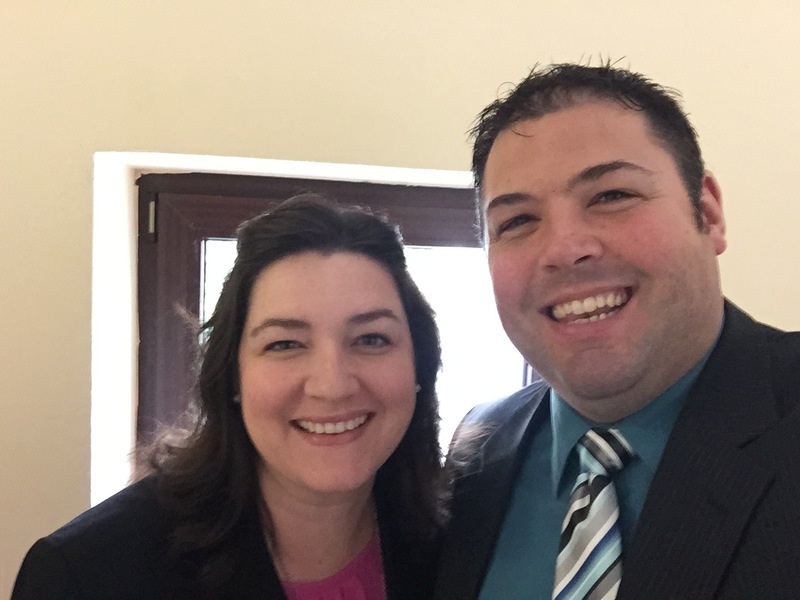 It is rare for a pastor to have such close friends. People he can be himself around. People who will hear his heart. People who won’t freak out when he thinks out loud or says something stupid. People who will love his family. People who will stand beside him through the thick and thin – especially when others are abandoning. People who will travel halfway around the world to support what God is doing through his family. You have valued our journey. You have let me shut up and bend. You have saved my truck. You have loved my kids like a grandparent. You have befriended my wife. You have told us the truth. You have encouraged us with care and prayer and love. You have walked beside us in some crazy things. You have shaken your head at insane ideas. You have empowered mission even when it really was crazy. What you have done is nothing short of miraculous. We have not missed that. I know we don’t say it enough, but you are special to us. You mean the world to us. You show us Jesus. Thank you. I only hope one day we will be as much Christ to you as you have been to us. Thank you Father. The love you so powerfully demonstrated has modeled for us what it truly means to love unconditionally. Jesus, you went to the cross for us; you intercede for us; you stand in the gap for us. Forever you will be praised. Holy Spirit….thank you for the miraculous work of grace you continue to process in our lives. Without the work of grace you’ve done in us, we would never be able to give the love of God to others. May we be humble and grateful and submitted to your will & plan forever.